Highlights of the Sky Bet League One match between Crewe and Rochdale. Crewe offered their fans hope they may yet beat the drop as a 2-0 win over Rochdale extended their unbeaten run to four matches. Steve Davis' side - resident for so long at the bottom of Sky Bet League One this term - made the most of poor Dale defending on a rain-sodden Gresty Road pitch to sweep into a two-goal interval lead. 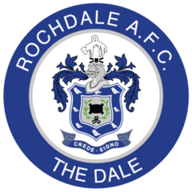 They had to defend doggedly at times and Rochdale's leading scorer Ian Henderson should have done better with a first-half header he directed the wrong side of the post. But Marcus Haber made no mistake for Crewe with an altogether simpler chance. George Cooper's 31st-minute corner was missed by Dale defenders and bounced invitingly at the far post for Haber to prod over the line. 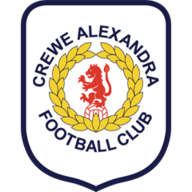 Ben Garratt ensured Crewe retained their lead with an instinctive save to keep out a snapshot from Peter Vincenti and the Railwaymen doubled their lead on the stroke of half-time. Brad Inman wrestled possession off Vincenti in the centre circle and charged clear to fire past Josh Lillis. Callum Camps blazed high and wide after the restart for Dale and Henderson should have cut the arrears when he wriggled clear on the left of the box, but drove across the face of goal. But Haber's far-post header, which was pushed around by Lillis, could have made the game safe for Crewe.